Updated: Dec. 10, 2018, 3:42 p.m.
Well, we made it through Thanksgiving. Whew! • You spent the day in perfect harmony with family, friends, and good food. • You put on a game face and made it through an obligatory meal with people you couldn’t wait to wave goodbye to. • You spent the day missing someone, wishing desperately for their presence. • You had to split time between families and came home exhausted. The holidays are oftentimes depicted as a cozy time with family, fellowship, food, and festivities. Yet the time between Thanksgiving and the New Year can be the most stressful time of the year. 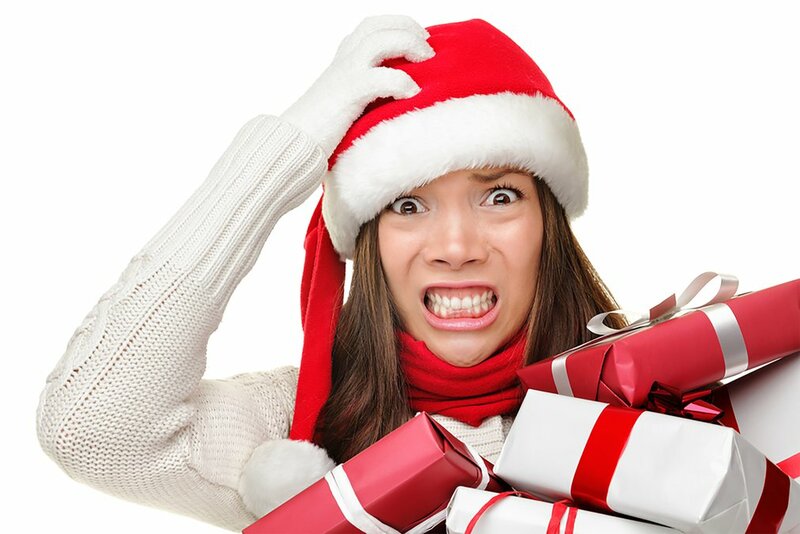 Planning, parties, gift exchanges, guests, overindulging, opinionated relatives, travel, tradition, nostalgia, and lack of money are just a few in the list of stressors that come with the season. While we may not be able to control all the situations that come up this holiday season, we’d like to suggest that we do get to determine how we’ll respond to them. Deliberately choosing how we respond to stress in our lives is living a life by design. Anything else is living a life by default. Take that obligatory holiday dinner, for instance. If we live by default, we’re inclined to say “yes” to the invitation then feel contempt for the annoying people we don’t want to be around. We may passive-aggressively express our impatience with those people while we’re there. And we’re more likely to keep feeling annoyed for days afterward, venting about it to our friends. In contrast, living by design means we might actually say “no” to the dinner invitation (yes, even if it’s family!). But if we do decide we have the energy for it, we allow people to be themselves without taking on contemptuous feelings about them. We give space for others to be themselves, while we offer the same for ourselves. We don’t take on other people’s emotions, and we don’t hold on to resentments. How about that day of travel and splitting time between families? In a life by default, we fear disappointing those close to us and tend to say “yes” to our family’s expectations, even though we know we’ll feel overextended. Often times we end up feeling mentally exhausted, like we need a vacation after a vacation (or during a vacation)! In a life by design, we take care of our energy first. We understand that saying “no” now, doesn’t mean we’re saying “no” forever. Being aware of what we are truly capable of and setting proper boundaries, lets us make plans that are realistic and energizing rather than depleting. Getting from a life by default to a life by design is a matter of shifting into mindfulness, maintaining proper boundaries, and having realistic expectations. Jill describes mindfulness as “paying attention...without judgment.” But what are we paying attention to? Ourselves! We allow ourselves to be aware of our emotions and the feelings they bring in our body. We pay attention to our thoughts, observing them without the extra step of determining if they are worthy and acceptable. Awareness is the first step for any shift in life. Learning awareness can be as simple as taking deep breaths and pausing to observe our five senses, or as challenging as a 10-day silent meditation retreat. In a physical sense, a boundary would show up as something like a fence, a line of trees, or a wall, and it would show us where we are allowed to go. Personal boundaries aren’t as evident. They show up in how we behave and how we allow others to behave toward us. Having a clear definition of what is/is not acceptable behavior helps us know when boundaries have been crossed. Establishing and maintaining personal boundaries is an important aspect of self-care. We may not even be aware of the expectations we have for all the situations we experience in life, until we become mindful of how disappointed or satisfied we are in those situations. Feeling disappointed or angry clues us in to our expectations. Sometimes it’s a boundary violation. And sometimes those feelings reveal expectations that weren’t realistic. Knowing the difference is important for self-care. When we continually have unrealistic expectations for people or situations, we can live with constant disappointment. Changing our expectations is necessary to find more joy in the present moment. No matter what our holiday experience is this year, we have more control over our joy of the season when we live a life by design. The stressors may be the same, but our reaction to them can change.